After welcoming attendees, Mike Lewis, professor of marketing at Emory, announced an upcoming partnership between EmoryMAC and Skillshot Media. The joint research effort will center around fandom in eSports and video games. Lewis said additional EmoryMAC programming is forthcoming and will focus on providing intellectual leadership in the community. 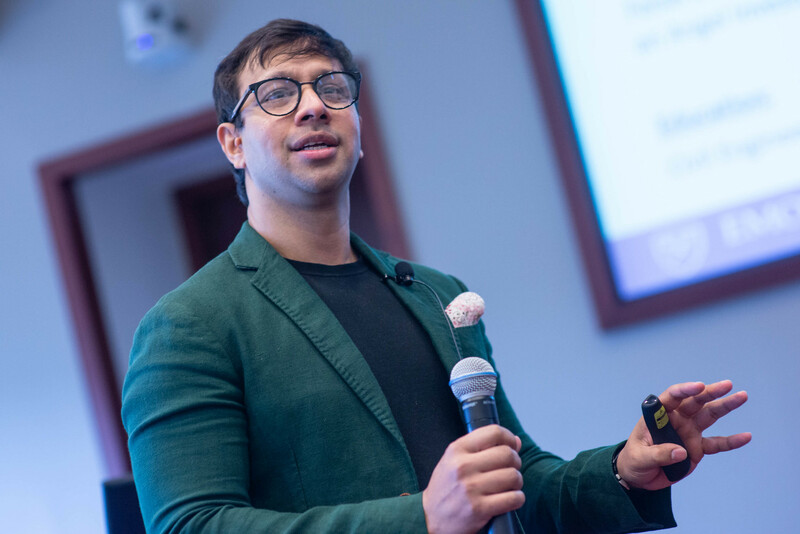 Faisal Zanjani, senior director of strategy and planning at Coca-Cola, began the keynote address by looking back to the early days of mass marketing: the Sears Roebuck catalog and billboards for Coca-Cola painted on the sides of buildings. For decades after, Zanjani said, marketing strategies evolved, but they all remained focused on broad audiences. And it’s a game that’s not going anywhere. “Every two days, consumers create as much data as they did from the beginning of time to 2013,” Zanjani said. “Of all the data we’re generating, 99 percent hasn’t been touched. This trend of data personalization is likely to only accelerate. Zanjani detailed the framework used by Coca-Cola to gather, analyze and validate data. But there are added challenges for organizations, like beverage companies, that are not digital natives. So Zanjani looks for patterns of consumption behavior in consumer data. Zanjani and his team must also find the right algorithm for that data — and it’s impossible to know in advance which algorithm will produce the best results. Instead, it’s a process of trial and error until the analysis is relevant to marketing goals. Finally, to validate the data, Zanjani said domain knowledge is incredibly important: Companies should make sure to have marketing and strategy experts who understand the data. 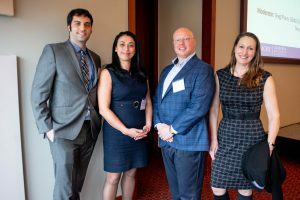 A panel of marketing experts active in the nonprofit sector engaged in a discussion on data analytics for organizations that have goals like funding cancer research, stopping human trafficking or fighting the opioid epidemic. The panelists agreed the stakes are higher, but the satisfaction is greater. 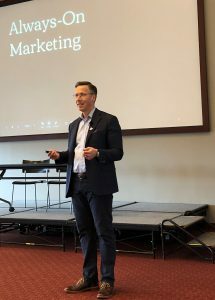 Representatives from Atlanta-area teams and arenas comprised a panel on the unique marketing and analytics challenges presented by sports organizations. The three panelists shared the same challenge: a sports team’s brand is dependent on wins and losses. Moderator: Brian Kelleher, engagement leader, Pegasystems Inc.
Klein’s advice for small businesses? The EmoryMAC Conference was sponsored by PEGA, Chick-fil-A and Skillshot.